Saudi Arabia has won a major battle in Europe through concerted lobbying efforts to reverse its inclusion in the EU’s “blacklist,” intended to penalize countries which fail to combat terrorism financing and money laundering and encourage them to take measures to reform lax regulatory systems. Following a series of scandals at European banks, the European Commission (EC) added a number of countries and territories, including Saudi Arabia, to a “dirty money” blacklist in February 2019. Nations featured on the list were considered a threat for their lax regulation of financial markets and failure to combat money laundering and terrorism financing. The move was met with criticism from several European Union (EU) countries concerned about their economic ties with the listed countries, particularly Saudi Arabia. The inclusion of Saudi Arabia on the EU’s blacklist was expected to hinder the development of ambitious Saudi economic reform plans, particularly Vision 2030. The inclusion of Saudi Arabia on the EU’s blacklist was expected to hinder the development of ambitious Saudi economic reform plans, particularly Vision 2030. Crown Prince Mohammed bin Salman’s pet project launched in 2016, in an effort to diversify and expand Saudi Arabia’s economy and attract private investors. Saudi Arabia called its inclusion in the EU’s blacklist “disappointing,” asserting that Riyadh’s commitment to combating money laundering and the financing of terrorism was a “strategic priority.” A day after the EU proposed the list, Saudi Arabia confirmed that it would continue its efforts to develop its financing regulations. 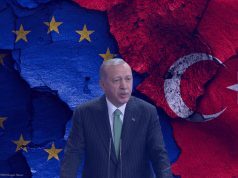 Now, a month later, after significant pressure and lobbying from Riyadh, however, the EU’s 28 member states have unanimously blocked the blacklist, forcing the EC to prepare a new list. Why was Saudi Arabia Blacklisted? 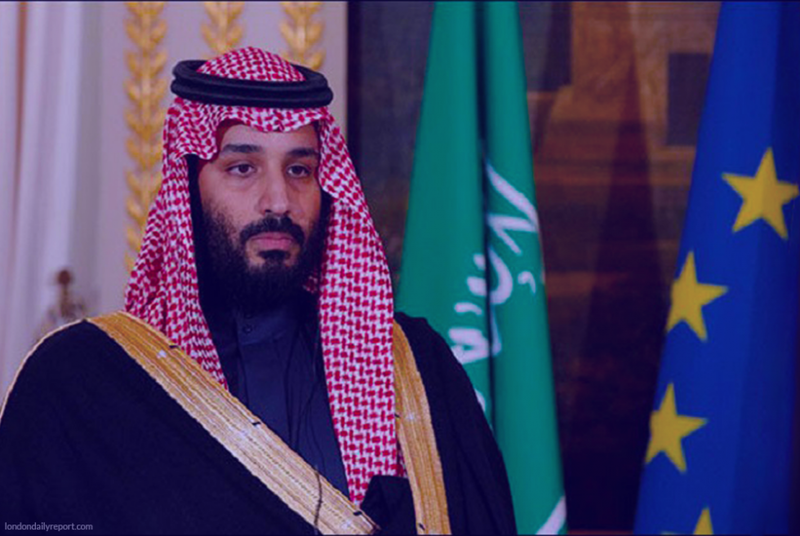 Saudi Arabia’s inclusion on the list was precipitated by a warning message from the Paris-based Financial Action Task Force (FATF) in September 2018, which informed the EU about Saudi Arabia’s failure to combat money laundering. The FATF announced that Riyadh had neither effectively investigated nor prosecuted individuals involved in large money laundering schemes and that the Saudi government had demonstrated an unwillingness to go after the proceeds of crime. While Saudi Arabia’s inclusion on the EU’s blacklist was not intended to lead to sanctions, it has nonetheless compelled European banks to scrutinize the kingdom more closely, and it could certainly still hurt Saudi Arabia’s international reputation in the future. Although Jourova called for urgent action because “risks spread like wildfire in the banking sector,” a number of EU member states (namely the U.K. and France) opposed Saudi Arabia’s addition to the blacklist. The strongest countries within the EU bloc—the U.K., Germany, France, and Italy— had opposed a majority of the 28-member union which endorsed the blacklisting of Saudi Arabia. The strongest countries within the EU bloc—the U.K., Germany, France, and Italy— had opposed a majority of the 28-member union which endorsed the blacklisting of Saudi Arabia. Each of these countries has strong ties with Riyadh involving billions of dollars in trade and the export of weapons. Riyadh is also a major importer of goods from the countries. Numerous British banks have extensive operations in Saudi Arabia, and the EU is the Gulf Cooperation Council’s largest trading partner. 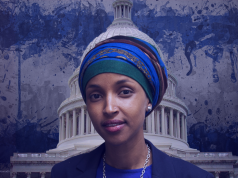 Saudi Arabia had mounted a fierce lobbying effort in response to its proposed inclusion on the blacklist. A day before the announcement of the proposal, Brussels-based media outlet the EU Observer reported that the Saudi government had paid the College of Europe, a prestigious EU-funded postgraduate institute based in Bruges, Belgium, to arrange for its ambassadors in Europe to meet with EU officials and members of the EU parliament (MEPs). In protest, a group of 125 “shocked” alumni sent a letter to the College of Europe’s president, expressing their dismay that the institution has been linked to Saudi Arabia—a country that they feel is not committed to “the values of the EU”—and demanding that he cut all ties with the kingdom. The president subsequently confirmed to the EU that payments had been made to the Saudis in return for arranging private meetings with MEPs and for a “training seminar.” In a letter addressed to the chair of the European Parliament’s budgetary control office, he wrote that the charges for the “training” were “in line with” the university’s usual rates. The “training” included non-public meetings between seven Saudi ambassadors to Europe and EU officials between February 18 and 22, according to the letter. Saudi Arabia’s lobbying in Brussels was seen by many as specifically intended to improve bin Salman’s image and promote Saudi Arabia as one of the West’s key allies. Jourova said in a European Parliament hearing in early March that she had also been a direct target of Saudi Arabia’s lobbying efforts. In addition, the Saudi regime reportedly used French PR agencies and communications companies to silence European criticism of the kingdom’s violations of human rights and war crimes in Yemen. 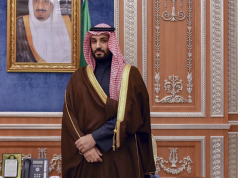 Nevertheless, despite the pressure to remove Saudi Arabia from the list, the EC seemed determined to keep the kingdom on it, especially in light of the assassination of Saudi journalist Jamal Khashoggi on October 2, 2018, at the Saudi consulate in Istanbul. Having renewed lobbying efforts, Saudi Arabia’s King Salman himself also sent letters to all EU leaders in late February, calling on them to reconsider putting Riyadh on the blacklist. He suggested that the blacklist might hinder trade and investment between Saudi Arabia and the EU. Days later, the EU member states unanimously rejected the list. Despite EU members’ assertions that their rejection of the proposal was due to the EC’s lack of transparency in drafting the blacklist, the fact that the EU is the biggest user of Saudi oil and a beneficiary of investment from the $230 billion Saudi sovereign fund was undoubtedly a significant factor. Although Saudi Arabia now is off the EU’s blacklist, the fact that it was proposed to be included could still pose a serious problem for the country, in terms of investor expectations. Although Saudi Arabia now is off the EU’s blacklist, the fact that it was proposed to be included could still pose a serious problem for the country, in terms of investor expectations. If it ignores this opportunity to improve transparency and regulatory controls in the kingdom, Saudi’s recent woes could lead more foreign investors to become skeptical and reluctant to deal with the Gulf country.